The role of money in federal elections has never been more prominent than in this, the 2012 presidential, cycle. It is thus quite natural that commentators these days would lavish attention on Citizens United v. Federal Election Commission, the 2010 blockbuster Supreme Court ruling saying that corporations and unions, just like individual persons, are entitled under the First Amendment to expend money to independently advocate in favor of or against candidates for elective office. In this column, I look closely at a recent discussion of Citizens United provided by Jeffrey Toobin in The New Yorker. In the end, I conclude that while the story Toobin tells is elegant, fascinating and enlightening (as almost all of Toobin’s writing is), the analysis he offers does not fully work for me, or at least it requires a fair bit more explanation than he offers. The Citizens United case arose under the federal McCain-Feingold campaign finance law, in which Congress tried to prohibit ads and other electioneering activities that advocate for or against any presidential candidate, that are paid for by corporate funds, and that run within 30 days of an election. A nonprofit corporation called “Citizens United” had produced and readied for airing a cable TV video-on-demand documentary advocating against then-presidential-candidate Hillary Clinton shortly before a presidential primary. The Federal Election Commission (FEC)—the federal agency charged with enforcement of federal election laws—ruled that the documentary movie amounted to “electioneering communication” and was thus covered under McCain-Feingold’s proscriptions. The U.S. Court of Appeals for the D.C. Circuit agreed with the FEC, and the Citizens United organization went to the Supreme Court, arguing that the federal statute did not, and could not constitutionally, prohibit the airing of the documentary. The case was first argued before the Supremes (with Republican loyalist and former Solicitor General Theodore Olson representing Citizens United) in March of 2009. The federal government was represented by Deputy Solicitor General Malcolm Stewart. More than three months after the argument, on June 29, the Justices, in an unusual move, decided not to resolve the case before their annual summer recess, but instead asked that the case be reargued the following Term (beginning in fall 2009), and that the parties focus this time on the larger questions of whether the differential treatment between corporations and individuals embodied in McCain-Feingold (and other campaign finance laws) was fundamentally inconsistent with the First Amendment, and whether past Court decisions upholding such differential treatment needed to be overruled. The case was reargued in September 2009, and in early 2010 the Court issued its blockbuster 5-4 decision affording corporations the same First Amendment right as is enjoyed by individuals to make election-related express advocacy expenditures. Toobin, in his recent (May 21) New Yorker piece, “Money Unlimited,” provides a riveting backstory to the 2010 ruling. A lawyer as well as a journalist, Toobin is a prominent translator of constitutional work product for lay audiences. He has written books and dozens of articles discussing the Supreme Court, its cases, and its people. Toobin generally does not advance or critique abstract legal theory or cutting-edge doctrinal approaches to interpreting and implementing the Constitution. Instead, he seeks to make (and succeeds in making) legal concepts accessible to intelligent non-lawyers. (It is because he is so successful and influential in this regard that what he writes deserves evaluation.) In much of his work, Toobin emphasizes personal qualities and characteristics of the participants in legal episodes, and suggests how these qualities and characteristics can affect legal outcomes. He also often explores the intellectual styles and modus operandi of decisionmakers in order to help readers make sense of the size and shape of the law. It is thus not surprising that Toobin would tell the story of how Citizens United came to be by focusing on the personal strategic and leadership instincts of Chief Justice John Roberts, and on a dramatic (and what Toobin sees as a fundamentally game-changing) skirmish between the government’s lawyer in the first oral argument in the case, Malcolm Stewart, and the conservative Justices on the Court. Toobin’s strong implication (though he never quite says it this plainly) is that absent the transformational oral argument exchange between Mr. Stewart and the conservative Justices, the Court would likely have decided Citizens United simply by holding that the FEC and the D.C. Circuit were wrong in concluding that McCain-Feingold applied to the documentary in question; the case would thus have been resolved in terms of statutory interpretation (albeit statutory interpretation informed by the limits of the Constitution), rather than in terms of broad First Amendment first principles protecting corporations and other well-heeled interests. But because of the fateful exchange, Toobin’s account goes, the five conservative Justices ended up reaching out and asking for new briefing and argument on the bigger constitutional issues that had theretofore been in the background. According to Toobin, although the conservatives needed to go through the procedural hassle of waiting a year to make major constitutional change, the back-and-forth at Stewart’s oral argument set into motion the chain of events that led to a sweeping 2010 ruling in Citizens United, which in turn has opened the door to the huge infusion of money into the so-called “Super PACs” in this, the 2012, election. What was this momentous Q & A in the first oral argument? It was a series of queries about whether the ban on electioneering communications in McCain-Feingold could limit not just electronic media, but also books. Before I explain my reaction to Toobin’s piece, let me disclose that I personally know both Toobin and Stewart. I have met Toobin a few times, and I have exchanged a small number of emails with him. I am a fan of his overall body of work, and I consider him a friendly acquaintance. Mr. Stewart is someone I have known, worked with, and admired for over two decades. He and I were classmates in law school and co-clerks in Justice Blackmun’s chambers, and I count him as a very close friend. So while, in my discussion below, I try to analyze Toobin’s account as objectively as I possibly can, readers should be aware of potential blind spots on my part, as they think about the issues I discuss. After digesting his essay, I remain somewhat unsatisfied by Toobin’s account in at least three ways. Perhaps there are compelling answers to some or more of the questions I raise in these three respects, but I would need to hear them to be convinced. First, the distinction Toobin draws between books containing advocacy (which he says cannot be regulated) and commercials that contain the same advocacy (which he suggests can be regulated) may not be easily workable in theory or in practice. As to theory, are TV commercials really unavoidable (and for that reason regulable) in the way Toobin suggests? Why can’t viewers change the channel or turn off the TV, just as they can decide not to purchase a book they see displayed in a bookstore window? Putting aside truly “captive” audiences (e.g., passengers who use public transportation for their daily commute, etc. ), why can’t we trust consumers of TV ads to self-screen just as we can trust consumers of books to do so? And in practice, the line-drawing problems are formidable, perhaps even insurmountable. If you can ban certain TV ads but not books, then what about TV ads promoting those books? If you can ban TV ads, can you ban analogous newspaper ads? If not, why not? Newspaper ads are no more “avoidable” than are TV ads. And if you can ban newspaper ads, what about pamphlets? And if you can ban pamphlets but not books, when does a pamphlet become voluminous enough to become a book? And what would we do with Internet ads and advocacy blogs that are financed by corporation money? As a general matter, discriminating between different types of media has not been free from difficulty under First Amendment doctrine. There are some older cases, most of which predate the information revolution, in which radio and TV are treated differently than print because the scarcity of airwaves historically has given government a freer hand. But that rationale has not easily been applied to cable entertainment (the context in which the Citizens United video was being offered). More generally, airwave scarcity is not as tenable a justification for government regulation of electronic media as it once was. But let’s put aside the question whether, at some big-picture level, differentiation between books, on the one hand, and TV commercials, on the other, is permissible or required under the First Amendment. There’s another serious problem here, too: On the facts of the Citizens United case, the answer that Toobin suggests that Stewart should have offered could easily have gotten him into more trouble than it might spare. Why? Because the Citizens United case did not involve a television commercial; it involved a feature-length 90-minute documentary movie that was available via on-demand cable! Even if Toobin is onto something (and he may be) when he says there is a constitutionally significant difference between a 60-second TV spot “imposed” upon reluctant viewers and a book that would-be readers have to go buy or borrow in order to read, how is a 90-minute on-demand movie–that is, one that must be selected by viewers in order to be seen– any different than a book that, in Toobin’s own words, readers make an “affirmative choice to acquire and read”? What I am saying here is that Stewart could not easily have proffered the answer Toobin suggests, because the very movie at issue in the case would have fallen on the wrong side of the constitutional line that Toobin wants to draw! Had Stewart said, “Your Honors, books cannot be regulated because people can choose not to acquire and read them,” the Justices would have pounced on him and retorted, “Well, isn’t the same true of the 90-minute on-demand cable documentary the government seeks to regulate here?” Perhaps Stewart could have done some fancy dancing about how Congress is entitled to draw broad categories that make general sense and then apply those categorical rules to particular instances in which the rationales for the categorical differentiation aren’t present, even in the First Amendment realm, and even where the constitutional claim challenges a particular statute’s application rather than the statute’s facial essence. But the chances that such a tap dance would have succeeded seem exceedingly low. In the end, then, Toobin’s gripe seems less with Stewart’s oral argument or with any of the answers Stewart gave there, but more with the government’s decision to apply McCain-Feingold in the context, not of a 60-second ad, but of a 90-minute on-demand cable movie, in the first place. Perhaps there is a basis for criticism in the FEC’s decision to construe McCain-Feingold as applying to the documentary, and the DOJ’s strategic choice to support that decision (I express no view on those matters), but all of that was decided by the government when it decided to contest the lawsuit filed by Citizens United. It was at that point that the die was cast, and if the conservative Justices were going to be angered by the aggressive stance taken by the government, that anger had nothing to do with oral argument, but instead with the initial decision by the government to regulate the movie in question. And if that anger was going to cause the Court to “go big” by resolving the case in a dramatic, comprehensive First Amendment fashion, then the oral argument flashpoint Toobin highlights was neither here nor there. My Third Reservation: Where Is the Link Between Stewart’s Oral Argument and Justice Kennedy’s Ambition? My third reservation about Toobin’s thesis is related to my second. Toobin suggests, without fully explaining his reasoning, that the response Stewart gave about books is what caused the Court to call for reargument and widen the scope of the case. Toobin recounts, seemingly based on some access to behind-the-scenes information—much of what he describes would not have been publicly accessible—that after Stewart’s argument, Chief Justice Roberts first circulated a draft opinion that would have resolved the case narrowly by simply deciding that the statute didn’t cover this film (which was Citizens United’s initial argument, on which they lost before the FEC), but that Justice Kennedy wrote a draft concurring opinion in which he indicated that the differential statutory treatment of corporations in McCain-Feingold itself violated the Constitution, and that older cases permitting discrimination against corporations should be overruled. It was at that point, Toobin says, that Chief Justice Roberts understood that if the case were to be reargued, there would be five votes for a broad, constitutional invalidation of this major cog in the McCain-Feingold law. So, Toobin says, Roberts got the Court to vote for reargument and, after that new argument took place, he assigned the majority opinion to Justice Kennedy, who then converted his concurrence draft into an opinion for a five-member Court majority. But what’s missing from Toobin’s story—and this is the critical point—is any specific reason to believe that Kennedy and the other four Justices who ended up joining him were moved in any way by Stewart’s oral argument answer. On the face of things, it seems unlikely that Stewart’s oral argument answer was a significant factor. Remember that, according to Toobin’s own account, well after the first oral argument, Chief Justice Roberts drafted and circulated a narrow opinion resolving the case. If Stewart’s oral argument had caused any of the conservative Justices to want to decide the case more ambitiously, wouldn’t that have been made known to the Chief Justice in the post-argument conference on which he based his decision about how to draft the opinion that he planned to circulate to garner a majority? Why did the oral argument’s catalyst effect take weeks or months to manifest itself to the point where Chief Justice Roberts, a sharp cookie to be sure, could see it? If Toobin has any inside information that might rebut the natural inference of non-causation based on the time lapse I describe, one might have thought that he’d be able to quote, or at least summarize, a source’s words to the effect that Stewart’s broad answer asserting regulatory powers over books is what sent Justice Kennedy or others over the cliff. But Toobin makes no such suggestion. This is likely true, but it undercuts, rather than supports, Toobin’s suggestion that Stewart’s argument answer had anything to do with Justice Kennedy’s (ultimately successful) gambit to use this case to remake First Amendment law. More generally, as Toobin himself acknowledges, once Justice Alito replaced Justice O’Connor, it was clear as early as 2007 (in the Wisconsin Right to Life case) that “five Justices would soon declare the McCain-Feingold law unconstitutional.” If astute observers (including Toobin) saw this three years before Citizens United was handed down, then why does Toobin think Stewart’s oral argument had any effect on anything? And even if Stewart’s oral argument did make a difference in that litigation (which seems unlikely), wouldn’t it only be a matter of a short period of time before the Court found another case to use to do exactly what it did in Citizens United? Failing to fend off the inevitable for a year or two is hardly changing the course of history. Let me be clear: I am not saying that oral argument never counts. But it usually doesn’t, and in the rare case when it does, ordinarily the outside world can’t be sure of its effect. I recognize that causation, or lack thereof, is impossible to prove in these kinds of instances. But I think that if someone is asserting that oral argument changed the outcome or the scope of a particular case, and there is no offer of direct evidence of anything said by members of the Court or their staff in the days or weeks following the argument, notwithstanding obvious access to some “inside” sources, then he or she must do more than simply point out that the ultimate outcome surprised some early observers, and that there were some dramatic and excited moments at argument. Here’s a good example: Six months ago, the overwhelming majority of first-rate constitutional analysts expected that the Court would uphold Obamacare because the arguments under traditional modes of constitutional interpretation seem so one-sided. And there is no real doubt that oral argument went poorly for Solicitor General Verrilli in March; there were clearly dramatic and difficult moments for him. (I myself have written that he could, and should, have had much better answers to the predictable “slippery slope” questions thrown at him.) But if the Court strikes down the mandate 5-4, we should not think that the result was caused by Verrilli’s subpar oral argument, and that if only he had been better in answering questions, the Court would then have come out the other way. That explanation is possible, but the more likely explanation—again, assuming the Court does end up striking down Obamacare—is that five Justices had decided before argument that they didn’t think Congress had the power to create the mandate, and nothing at oral argument either way would have mattered to them. I can’t say if this is truly what Citizens United means, but if so, that legacy—much more than any personally interesting but to me largely speculative connection between an entertaining oral argument exchange and a decision by the Court to reshape the law—is the real human-interest story that is worth telling and worth hearing. I look forward to future chapters in which Toobin conveys more of it. Cross-posted from Immigration Prof Blog. So far, the Supreme Court has issued four immigration decisions this Term. There will likely be five in total. Court watchers eagerly await the Court to decide Arizona v. United States, which has received the most attention by far of the Court's immigration decisions from the 2011 Term. Much more will be said, I am sure, when the Court decides that case, which could well have a dramatic impact on the future of the many immigration enforcement laws passed in recent years by state legislatures. The Court’s four other immigration decisions, however, offer critically important insights about how the Court approaches more run-of-the-mill immigration cases that are the bread-and-butter of immigration law practice. In total, the decisions are firmly in the mainstream of constitutional, statutory, and administrative law jurisprudence. The unexceptional nature of the Court's four immigration decisions may be surprising to students of immigration law who have been well-schooled in the “plenary power doctrine,” which historically has immunized substantive immigration law provisions from meaningful judicial review, and in fact represents an important deviation from mainstream constitutional law. In a rather unexceptional – if not workmanlike -- fashion, the Court in the four non-Arizona immigration cases decided in the 2011 Term generally treats the review of immigration cases like it treats other the review of other agency actions. Two of the four decisions were unanimous and written by Justice Elena Kagen, the most junior Justice on the Court. One central lesson of decisions is that the Court will protect immigrants from arbitrary removal decisions of the Board of Immigration Appeals (BIA) and, at the same time, defer to the BIA’s reasonable interpretation of the immigration laws. The Court has followed a relatively consistent pattern in this regard in recent years, with an occasional blockbuster like Arizona v. United States (I admittedly am speculating) and Padilla v. Kentucky. In Judulang v. Holder, the Supreme Court addressed a case in which the U.S. government sought to remove from the United States a lawful permanent resident who had lived here since 1974, based on a 1989 voluntary manslaughter conviction. Former Section 212(c) of the Immigration and Nationality Act provides for a “waiver of excludability” allowing a noncitizen to enter, and resist removal from, the country despite a criminal conviction. The U.S. government sought to remove Joel Judulang from the United States on the ground that he had committed an “aggravated felony” involving a “crime of violence.” The Board of Immigration Appeals (BIA) ruled, and the Ninth Circuit affirmed, that a “crime of violence” was not “comparable” to any ground for exclusion and that Judulang was not eligible for relief. "This case concerns the Board of Immigration Appeals’ . . . policy for deciding when resident aliens may apply to the Attorney General for relief from deportation under a now-repealed provision of the immigration laws. We hold that the BIA’s approach is arbitrary and capricious. The legal background of this case is complex, but the principle guiding our decision is anything but. When an administrative agency sets policy, it must provide a reasoned explanation for its action. That is not a high bar, but it is an unwavering one. Here, the BIA has failed to meet it." (emphasis added). As in Judulang v. Holder, the Supreme Court has in recent years subjected the immigration decisions of the government to the same standards of judicial review as applied to other agency actions. The Court also has applied the same basic principles of statutory interpretation to the immigration laws that it applies to other statutes. For commentary on Judulang, see here and here. Vartelas would not have been subject to deportation if he had not left the United States. Before 1996, as a lawful permanent resident, he would have been free to take a short trip out of the country. "We conclude that the relevant provision of IIRIRA, § 1101(a)(13)(C)(v), attached a new disability (denial of reentry) in respect to past events (Vartelas’ pre-IIRIRA offense, plea, and conviction). Guided by the deeply rooted presumption against retroactive legislation, we hold that §1101(a)(13)(C)(v) does not apply to Vartelas’ conviction. The impact of Vartelas’ brief travel abroad on his permanent resident status is therefore determined not by IIRIRA, but by the legal regime in force at the time of his conviction." In so holding, the Court applied the “presumption against retroactive legislation” and the general retroactivity rules from Landsgraf v. USI Film Products (1994). The Court found that, in pleading guilty to the criminal charge in 1994, Vartelas “likely relied” on the law as it existed at that time, which allowed him the freedom to take brief trips outside the United States. In an opinion joined by Justices Thomas and Alito, Justice Scalia dissented. The dissent viewed the activity regulated by the 1996 amendment as reentry into the United States after a trip outside the country. Consequently, the new statutory language was not applied retroztively because Vartelas's readmission to the United States after a trip abroad occurred years after the effective date. Justice Scalia accused the majority of going beyond the statutory language to achieve a fair result. In sum, the Court found for Vartelas in a narrowly drawn opinion that found that the retroactive application of 1996 amendments to the immigration laws would be unconstitutional. Applying the standard test for the retroactive application of new laws, the Court concluded that Vartelas could not be subject to the 1996 amendment. The Court did not address broader questions, including the constitutional rights of lawful permanent residents. For further commentary, click here. In these consolidated cases, the Supreme Court reviewed the question whether the Board of Immigration Appeal’s decision to forbid the imputation of the years of a parent’s residency in the United States to a minor child for the purpose of calculating eligibility for relief from removal. Writing for a unanimous Court, Justice Elena Kagen deferred to the BIA’s construction of the statute. The Court concluded that the Board’s rejection of imputation of the time of parent’s residence to the child for purposes of eligibility for relief was a permissible construction of the statutory provision (which seemed pretty clear cut to the Court) in question (8 U.S.C. § 1229b(a)). As a reasonable construction of the statute, the agency’s interpretation was entitled to deference under Chevron U. S. A. Inc. v. Natural Resources Defense Council, Inc., 467 U. S. 837 (1984). The decision has all the trappings of the run-of-the-mill Chevron deference case. For commentary, click here and here. Professor Jill Family analyzes the decision on SCOTUSblog. In Kawashima v. Holder, the U.S. Supreme Court, in a majority (6-3) decision written by Justice Clarence Thomas, affirmed the Ninth Circuit's holding that a tax crime was an “aggravated felony” under the U.S. immigration laws subjecting an immigrant to removal. Joined by Justices Breyer and Kagen, Justice Ginsburg dissented. The issue before the Court was whether that the convictions of Akio and Fusako Kawashima, natives of Japan who had been lawful permanent residents since 1984, for the filing, and aiding and abetting in filing, a false statement on a corporate tax return constituted “aggravated felonies,” thereby making them removable from the United States. Engaging in a straight-forward analysis of the statutory language, the Court concluded that the crimes constituted "aggravated felonies" subjecting them to removal. At various times, the Supreme Court has applied the “rule of lenity” to interpret ambiguities in a deportation statute in favor of the noncitizen fighting deportation. Justice Thomas and the majority did not seem to see any ambiguities in the removal statute that warranted invocation of the rule of lenity. In contrast, Justice Ginsburg in dissent relied on the rule of lenity as a basis for her interpretation of the statute in favor of the noncitizen. In Kawashima v. Holder, the Court engaged, as often is the case in immigration cases, in a debate over statutory construction of the complex immigration laws. This is a run-of-the-mill statutory interpretation case. Justice Thomas focuses on the plain meaning of the statute and Justice Ginsburg reads more into the statutory text (and structure of two sub-sections). As with the other decisions discussed in this post, I do not see this immigration case having much of an impact on immigration cases. For commentary, click here. A recap of the decision on SCOTUSBlog can be found here. Nearly twenty years ago in Responding to the “Litigation Explosion”: The Plain Meaning of Executive Branch Primacy Over Immigration, 71 North Carolina Law Review 413 (1993), I criticized a series of Supreme Court immigration decisions that applied ordinary principles of statutory construction and administrative law in the review of agency immigration decisions. My claim was that, given the important life and liberty issues at stake in an immigration case, the courts should engage in more exacting judicial review of agency removal decisions. The Supreme Court obviously has not embraced my suggested approach. Nonetheless, the good news is that the Court is engaging in meaningful review of agency decisions and applying ordinary administrative law principles in that review, not blindly deferring to the Board of Immigration Appeals. In terms of statutory interpretation, the Court is, as in other cases, focusing on the plain meaning of the text of the statute. The immigration attorney should take to heart the Court’s devotion to rigorous statutory construction and expect ordinary – but not excessive – deference to the agency by the courts to the rulings of the BIA. The national Democratic and Republican parties are today both highly polarized and evenly matched. Elections have become pitched battles for control of government, and the candidates who lead the charge for each party have dramatically different ideas about what the government should do. Under these conditions, small turnout swings within each party's base can have very large consequences for the course of public policy. It is probably not coincidental that in recent years Republican-controlled state legislatures have enacted numerous anti-fraud regulations of the voting process, such as photo ID requirements, or that Democrats have portrayed these measures as disingenuous schemes to reduce participation among likely Democratic voters. When political parties are evenly matched and the policy stakes are high, the parties and their interest-group supporters can be expected to try to shape the electorate to their advantage — and to try to delegitimize the other side's program of electoral reform. Not all states enjoy the same latitude to enact barriers to participation, however. The Voting Rights Act (VRA) obligates the so-called "covered jurisdictions," which include most of the former Jim Crow states, to "preclear" new regulations of the electoral process with the US Department of Justice (DOJ) or the US District Court for the District of Columbia. Under Section 5 of the VRA, a state seeking preclearance must show that the requirement it wishes to implement was not adopted with a discriminatory purpose, and will not have a retrogressive effect on racial minorities' political participation. The burden of proof is on the state. The DOJ recently relied on the "effects" prong of Section 5 to deny preclearance to voter ID requirements adopted in South Carolina and Texas. The DOJ has also interposed effect- and purpose-based objections to several Florida reforms that are currently before the US District Court of the District of Columbia. At a time when African Americans and Latinos overwhelmingly vote for Democrats it is easy to see why the Section 5 retrogression test complicates Republican efforts to reshape the electorate. A law that disproportionately burdens Democratic participation (relative to the status quo) is likely to burden racial minorities more than whites. If that is the case, the law is "retrogressive" on the standard understanding of Section 5. This commentary argues, however, that the purpose rather than the effects prong of Section 5 likely represents the greater (or at least the more enduring) barrier to Republican efforts to limit participation by Democratic voters. The effects prong will probably be whittled away or invalidated by the US Supreme Court. The purpose prong has a somewhat firmer constitutional footing, since regulations of the voting process meant to disadvantage a class of voters defined by race violate the Fourteenth and Fifteenth Amendments. To be sure, there is scant evidence that Republican legislators in Florida, Texas, or South Carolina had a racial purpose in mind when adopting the voting requirements to which the DOJ now objects. But if these states stipulate that their requirements were adopted for partisan purposes, they risk a public backlash that could tarnish the Republican brand, and they may inadvertently strengthen the hand of plaintiffs in subsequent constitutional litigation. On the other hand, if they stipulate that their requirements were not adopted for partisan reasons, they may have a hard time carrying their burden to prove the absence of a discriminatory purpose, because there is evidence that these measures will have a racially disparate impact but do little to combat fraud. The Voting Rights Act contains two principal provisions. Section 2, which applies nationally, establishes an uncertain barrier to election laws that prevent minority voters from participating in the political process and electing candidates of their choice on equal terms with others. Section 5, by contrast, applies only to certain states and localities with a history of discrimination, and is conceptually more straightforward. An electoral reform that makes minority voters worse off relative to the status quo violates the effects prong of Section 5. Preclearance must also be denied if the measure at issue was motivated by "any discriminatory purpose" with respect to race or color. Section 5 rests, however, on precarious constitutional footings. The Voting Rights Act originally provided that Section 5 would sunset after five years. The provision was re-enacted on a temporary basis in 1970, 1975, 1982, and, most recently, 2006 (for another 25 years). In hearings before the 2006 reenactment, legal scholars warned that Section 5 would be at risk of judicial invalidation unless the US Congress updated the "coverage formula," which establishes the geographic reach of the preclearance requirement, or the "bailout provisions," which enable jurisdictions that have not discriminated recently to escape coverage. But Congress did neither. It modified the statute only to extend it, and to overrule a pair of Supreme Court decisions that had given covered jurisdictions a little more room to maneuver. (3) that the coverage formula "is based on data . . . more than 35 years old, and there is considerable evidence that it fails to account for current political conditions." NAMUDNO is just the latest in a long line of cases in which the Court has relied on the constitutional avoidance canon to narrow the reach of the VRA without actually holding it unconstitutional. Many observers, myself among them, expect this pattern to continue. The constitutional avoidance strategy has both political and doctrinal benefits for a strategic Court. It allows the Court to pare back the VRA without receiving all the media and political attention that would follow outright constitutional invalidation. And it saves the Court from having to explain exactly why the VRA violates the US Constitution, which in turn helps the justices to sidestep questions about whether their constitutional reasoning is faithful to precedent. It can certainly be argued that the coverage formula is so outdated as to render Section 5 constitutionally unenforceable. Esteemed DC Circuit Judge Stephen Williams advanced this position in his dissenting opinion in Shelby County v. Holder, a case decided just last Friday. Yet, whether Section 5 is a "congruent and proportional" remedy for constitutional violations — the constitutional standard for Fourteenth and probably Fifteenth Amendment enforcement legislation — depends not on the coverage formula alone, but on the interplay among the coverage formula, the preclearance standard and the bailout provisions. A coverage formula that is grossly overbroad on its face could prove to be very well tailored in application, if it were easy for "innocent" jurisdictions to bail out of coverage. Similarly, a VRA with an overbroad coverage formula could do a very good job intercepting unconstitutional state action while minimally burdening the states in other respects if preclearance proceedings were low-cost, accurate and tightly focused on the question of whether the measure submitted for preclearance was designed to discriminate on the basis of race. Seen in this light, the constitutional problem with Section 5 would be substantially alleviated if the courts eliminated or scaled back the "no retrogressive effect" condition for preclearance, while leaving in place "no discriminatory purpose." The effects prong of Section 5 bears only an attenuated relationship to constitutional violations, whereas the purpose prong targets them directly as voting requirements adopted for racially discriminatory reasons face strict scrutiny under the Fourteenth and Fifteenth Amendments. To see the potential mismatch between the effects prong and the Constitution, imagine a covered jurisdiction that allows on-demand absentee voting. Anyone may vote absentee, irrespective of whether his or her personal circumstances make it difficult to vote in person. 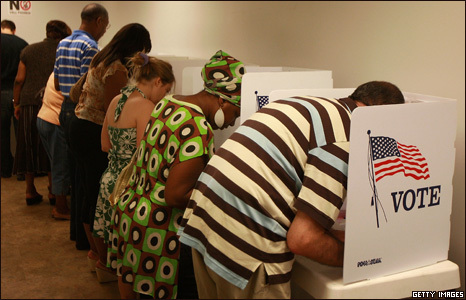 Further assume that minority citizens disproportionately vote absentee, and that, as experts generally believe, most voting fraud occurs in connection with absentee voting. If the state passed a law limiting absentee voting to citizens for whom in-person voting represents a hardship, there would be scant basis for suspecting a racially discriminatory purpose. Yet, this entirely conventional and innocently motivated reform would probably have a retrogressive effect on minority political participation. The able lawyers representing Texas, Florida, and South Carolina in preclearance proceedings now before the US District Court for the District of Columbia have laid out a smorgasbord of options for curtailing the effects prong of Section 5 in ways that would permit the covered jurisdictions to introduce photo ID requirements for voting, to change the time period for voting and to restrict voter-registration drives by nongovernmental organizations. The courts have been invited to hold, for example, that the retrogression test is specific to redistricting; that the effects prong reaches only substantially or materially burdensome laws; or that a voting requirement is retrogressive only if it actually reduces the number of ideally preferred "candidates of choice" whom the minority community can elect, given the state's system of legislative districts. These litigating positions find little support in the text and legislative history of Section 5 viewed as a whole, but they will pass some observers' laugh tests. And, as NAMUDNO indicates, the Court seems happy to blast away at the VRA with the constitutional avoidance canon whenever a thin veneer of conventional legal argumentation can also be adduced to support a narrowing interpretation. Section 5 may or may not be invalidated outright, but I would be quite surprised if the retrogression test persists for very long as an independently forceful counterpart to the "purpose" prong. The purpose test has problems of its own, but at least it remains closely tethered to state action that violates the Constitution. The Voting Rights Act was not designed to counteract partisan, as opposed to racial, discrimination. One might suppose, then, that a covered jurisdiction could carry its burden under the purpose prong of Section 5 by showing that the voting requirement at issue was well-tailored to a partisan purpose — such as to reduce turnout among Democratic voters. Similar arguments are regularly made by state defendants in constitutional challenges to the design of legislative districts. The Supreme Court has applied strict scrutiny to legislative districts whose "predominant purpose" was to facilitate the election of a candidate of a particular race. But where race and partisanship are highly correlated, state defendants have successfully argued that districts that appear racially designed were actually intended to advance a partisan agenda. There are two problems with making this "partisan purpose" move in preclearance proceedings that concern barriers to voting, as opposed to maps of legislative districts. One is constitutional. It is well settled that redistricters may design legislative districts for partisan advantage. There may exist an outer limit, some point at which constitutionally acceptable partisanship becomes constitutionally excessive, but the Supreme Court has shown no interest in drawing this line. [I]f a nondiscriminatory law [such as a voter ID requirement] is supported by valid neutral justifications, those justifications should not be disregarded simply because partisan interests may have provided one motivation for the votes of individual legislators. To see the delicate problem facing covered jurisdictions, recall that the party seeking preclearance bears the burden of proof that "any" racially discriminatory purpose precludes preclearance and that covered jurisdictions have a history of discrimination (most are former Jim Crow states). Now, consider a voting requirement that has a racially discriminatory impact and that addresses a "problem," such as fraud by third-party voter registration groups, for which there is little evidence. To avoid the inference that racially discriminatory motives played some part in the adoption of this measure, the state seeking preclearance might have to admit that the voting requirement's predominant or overriding purpose was to reduce turnout by the other party's supporters, and to show that the requirement was fairly well tailored to this purpose. These concessions could, however, prove fatal in subsequent constitutional litigation. Although after Crawford partisanship appears permissible when it represents but one of many rationales for a voting requirement, there are strong arguments that partisanship may not predominate over other considerations in the design of such requirements — particularly if the partisan objective is not to prevent fraud by the other side but rather to discourage participation by eligible voters who happen to support the other party's candidates. Even if the constitutional challenge were to fail, a state's concession that voting requirements adopted on a party-line vote were mainly intended to hinder voting by the other party's supporters could be quite damaging politically. The gerrymandering of legislative districts for political advantage is a time-honored, bipartisan tradition and the architects of partisan gerrymanders do not hide their ambitions. But recent restrictions on voting and voter registration do not have a similar pedigree. Republicans have been pushing all the restrictions. Democrats have been consistently fighting back. Republicans have adamantly denied that their motive is to prevent Democrats from getting to the polls. Rather, they have argued that the new requirements are reasonable, nondiscriminatory responses to the threat of fraud and that it is Democrats who would jeopardize the integrity of the electoral process by opposing these measures for base political reasons. The political rhetoric suggests that the actors who are closest to the ground believe that voters may punish the Republican Party if they believe that Republicans have been jiggering the voting process to keep Democrats away from the polls. To concede in legal briefs what the party has been adamantly denying in the court of public opinion may well debase the party's brand in the eye of independents. At a time of political equipoise, that's a serious risk indeed. So it is that, in a strange and ironic turn, the Section 5 prohibition on racially discriminatory voting requirements could end up defanging politically discriminatory requirements that have nothing to do with race — even if the Supreme Court neuters the effects prong of Section 5, as I and many others expect. None of this is certain. The Supreme Court might invalidate Section 5 altogether. It might establish evidentiary presumptions under the purpose prong that insulate covered jurisdictions in the absence of direct, "smoking gun" evidence of intentional racial discrimination. It might reject the argument that voting requirements adopted for predominantly partisan purposes violate the Constitution, even if those purposes are conceded. But I suspect that Justice Kennedy and his liberal colleagues will successfully resist the gutting of the purpose prong of Section 5, and will reject the view that states may enact voting requirements primarily to reduce voting by the minority party's supporters. If I am right, the purpose prong of Section 5 will probably operate as an unintended limitation on partisan gerrymanders of the electorate itself. What Does the Pew Research Center’s Recent Survey Showing an Historically Low Favorability Rating of the Supreme Court Tell Us? This entry is cross-posted from Justia.com. Last week, the Pew Research Center released results of new polling data showing the percentage of adult Americans who hold a favorable view of the Supreme Court (52%) is at a 25-year low. In the space below, I drill into the numbers a bit more deeply, and offer some speculative explanations for the diminishing public assessment of the Court. There are at least three noteworthy, and related, numerical trends imbedded in the Pew data about reduced respect for the Court. First, although a graph of attitudes does not depict a straight line-but instead features some zigzagging from year to year-a significant general downward drift has been taking place for over a decade. Between 2001 (when the approval rating was around 70%) and the present, the direction has been decidedly negative. In the seven periodic survey readings from early 2001 until the middle of 2006, the rating was in the 50s only once; in the seven survey readings since, it has been in the 50s four times, including in each of the last three readings since early 2009. So what we see is a descendent trend over the last 10 or 11 years, with a further pronounced drop-off over the last three years. Second, and somewhat unexpectedly, today there are, as the survey press release says, "virtually no partisan differences in the views of the Supreme Court: 56% of Republicans, and 52% of both Democrats and independents rate the Supreme Court favorably." And it is really a drop in Republican approval numbers that has closed the partisan gap (and accounted for the low overall numbers); while favorability among Democrats has bounced around over the last decade, the decline in approval by Republicans has been particularly sharp and salient. Third, and relatedly, the Court is no longer necessarily viewed more favorably by the party that controls the White House. During the Clinton years, Democrats viewed the Court more favorably than did Republicans. During the George W. Bush years, Republicans viewed the Court more favorably than did Democrats. (And this partisan correlation between respondent attitudes and control of the White House was also present during the Reagan and George H. W. Bush years.) But during the Obama years, neither Democrats nor Republicans have registered a consistently higher view of the Court. What are we to make of all this? It's hard to know, since the survey asks only bottom-line questions about the degree of a respondent's favorable impression of the Court, and not questions about what the respondent thinks is driving the bottom-line impression. To be sure, part of the downhill slope may be explained by a dislike and distrust of government at all levels and in all forms, and perhaps also by an even broader angst about whether America and its economic, social and legal institutions are still worthy of our faith. But beyond this general distrust of powerful American institutions, I think there are a number of other factors at play over the last decade or so that bear on the observed trends. First, the Supreme Court has been thrust (or sometimes inserted itself) into particularly high-profile partisan disputes in a way that makes it hard for some observers to see how the Court is different from the more overtly partisan actors on Capitol Hill. Bush v. Gore (resolving the 2000 presidential election) is one important example, and the challenges to the Affordable Care Act (Obamacare) is another. The fact that all five Justices in the majority in Bush v. Gore were Republican appointees, and the possibility that the Obamacare cases might split 5-4 perfectly along Republican appointee/Democratic appointee lines (although I very much hope that doesn't come to pass), serve to reinforce the notion that the Court is no different from, and no more principled than, Congress. Even if Bush v. Gore didn't seem to do long-lasting harm to the Court's image in 2001 and 2002, when people today are reminded of it in connection with the Obamacare cases, the bad feelings that it generated come rushing back. Of course, most of the Court's cases are not resolved 5-4 along partisan lines (and, indeed, a big percentage of Court rulings are unanimous). But the cases that (rightly) get enormous play in the media-the cases on which momentous things (like Presidential election results and the fate of the most significant statute to be passed in a generation) turn-do tend to break down 5-4 along these lines. It's hard for my constitutional law students, let alone non-lawyers, to believe me when I tell them that elegant ideas, lofty principles and doctrinal niceties matter when what folks observe is a very high percentage of monster cases getting resolved along partisan lines. Related to this first observation is the way the Justices have come across publicly when they have gone through the Senate confirmation processes over the last decade. After 11 years of personnel stability, the Court received two new members (Chief Justice Roberts and Justice Alito) during the 2005-2006 Term, and two more (Justices Sotomayor and Kagan) since then. These confirmation processes included widely televised proceedings and featured some self-inflicted wounds by the nominees. For Chief Justice Roberts, it was his roundly denounced and overly simplistic baseball umpire metaphor, and for Justice Sotomayor, it was her having to deal with an ill-phrased reference in a past speech to the virtues of decisions made by a "wise Latina." Perhaps more damaging than these inapt analogies or careless phrases, though, is the fact that the nominees have largely avoided answering most of the meaningful questions posed by Senators in the hearings-specific questions about specific cases in specific areas of the law. The record of recent confirmations shows innumerable instances of the Senate allowing the nominees simply not to answer because a question asks for specific views on specific matters. I have elsewhere written at length that such specific questions are necessary and proper to educate the Senate and the nation about whether a nominee ought to be confirmed, but when nominees bob and weave and end up coming off no different than the politicians who are asking the questions, or any other politician called to testify before a committee, the public can't help but lump everyone together for purposes of poxes on houses. None of what I've said above fully and directly addresses the somewhat puzzling displeasure of Republican respondents in particular. After all, the Supreme Court over the last dozen years has exhibited a track record that is solidly conservative when compared to most eras of American history. When one thinks about the blockbuster rulings of recent years-Bush v. Gore, the Citizens United ruling invalidating campaign finance reform, the Heller ruling recognizing individual gun rights, the Van Orden v. Perry case permitting explicitly scriptural (10 Commandments) displays in public places-one has the general sense that the Supreme Court has for Republicans been somewhat like Burger King, a place where they have had it their way. Second, victory is itself, of course, a relative concept. The reality may be that the Republican Party's movement to the Right has been faster and more consistent than even the Supreme Court's. So, for example, the Republican reaction to Heller may not have been "Hurray," so much as "What took so long?" and "Exactly how many gun regulations does this strike down?" As savvy veteran political scientists Thomas Mann and Norman Ornstein have recently put the point, albeit in stronger and more colorful terms than I would: "The GOP has become an insurgent outlier in American politics. It is ideologically extreme; scornful of compromise; unmoved by conventional understanding of facts, evidence and science; and dismissive of the legitimacy of its . . . opposition." If Mann and Ornstein's characterization is remotely descriptive of the attitude held by even a significant minority of Republicans (and the percentage of Republicans in some states who say they believe the President is not a citizen, or not a Christian, suggests Mann and Ornstein do have a point), then no conservative victories at the Court are going to seem to be enough: Striking down Obamacare on reasoning that leaves Romneycare, or the Fed, for that matter, intact would result in a half-empty glass at best. In the end, then, the most striking aspect of the Pew survey on the Court-the fall from Republican grace-may say as much about the Republican party today as it does about the Court. Most scholarship on intellectual property considers this law from the standpoint of law and economics. Under this conventional wisdom, intellectual property is simply a tool for promoting innovative products, from iPods to R2D2. 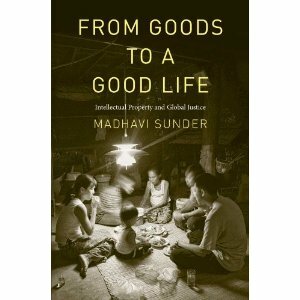 In this highly original book Madhavi Sunder calls for a richer understanding of intellectual property law’s effects on social and cultural life. Intellectual property does more than incentivize the production of more goods. This law fundamentally affects the ability of citizens to live a good life. Intellectual property law governs the abilities of human beings to make and share culture, and to profit from this enterprise in a global Knowledge economy. This book turns to social and cultural theory to more fully explore the deep connections between cultural production and human freedom. Should be available on May 21, 2012--Order here. Americans are often said to have a love-hate relationship with rural America. On the one hand, many wax nostalgic about the good old days, simpler times, the bond of "rural community" that many of our grandparents once lived, even if most of "us" grew up in the city. Plus, most everyone enjoys a bit of time spent in "nature," and some even realize--the urban ag craze aside--that most of our food is grown "in the country." On the other hand, urbanites often hold rural people in disdain, mocking them for their attachment to place, their regressive politics and culture and, yes, even for their nostalgia. One particular aspect of the "love" (more precisely, nostalgia) with which we may regard rural America is the tendency to think that bad things associated with cities--most notably crime--are largely absent in smaller towns, in nonmetropolitan areas. That's hardly accurate, as I've discussed here and here. I wonder, though, if these rural myths are the reason that even more shocking crimes in rural settings--crimes involving, for example, racial or ethnic animus--don't get national attention. For crimes like these, I would think that urban Americans might be anxious to publicize the crimes, to hold these acts up as justification for the "hate" (that is, disdain, contempt) part of the relationship. In both cases, an unarmed young black man died at the hands of someone of a different race. And [Justin Patterson's parents] began to wonder why no one was marching for their son, why people like Rev. Al Sharpton had not booked a ticket to Toombs County. The local chapter of the N.A.A.C.P has not gotten involved, although Mr. Patterson's farther approached them. Why some cases with perceived racial implications catch the national consciousness and others do not is as much about the combined power of social and traditional media as it is about happenstance, said Ta-Nehisi Coates, a senior editor at The Atlantic who writes about racial issues. Several events coalesced to push the Martin case forward: an apparently incomplete police investigation, no immediate arrest and Florida's expansive self-defense law. The New York Times' highlighting the overlooked Patterson case reminded me of another pair of cases last year that received grossly disparate media attention. Several months after the convictions in this case, it had not yet been discussed anywhere except in local media. The Arkansas Democrat-Gazette ran about half a dozen stories, starting in April, 2011, when the men were indicted, running through the trial itself, and ending with Maybee's sentencing to 11 years in prison, in September, 2011. Television stations in nearby Springfield, Missouri covered only the sentencing, and Reuters, too, had finally found the story by then. In that way, the Arkansas case is similar to another Shepard/Byrd Act indictment that preceded the Arkansas conviction, this one in Farmington, New Mexico involving the torture of a developmentally disabled Native American by white men. That case resulted in a guilty plea and was mentioned, along with other Shepard/Byrd cases, in this NPR story a few days ago. (Other NPR coverage of the Shepard/Byrd law, which also mentions the New Mexico case post-guilty plea, is here and here). Contrast that with the Shepard/Byrd charges against the three young white men who recently pleaded guilty in the death of James C. Anderson, a black man in Jackson, Mississippi. New York Times coverage of that crime is here, here, here and here. The Mississippi story is, of course, a huge one and deserves all the attention it got. But the Carroll County story seems like a pretty big one, too (did I mention that it was the first Shepard/Byrd conviction!?! ), as does the case out of Farmington, New Mexico. What explains the disparate and decidedly after-the-fact media attention to these cases? Perhaps coincidence. Perhaps differences in the Department of Justice's efforts to publicize the charges. Perhaps the fact that the Mississippi crime resulted in death whereas the Arkansas and New Mexico crimes did not. But as a ruralist, I can help wonder if the rural-ish settings of these crimes also obscured them from the national media? Carroll County has a population of just 27,446, of which 12.7% are of Latino or Hispanic origin. I know the area quite well because I grew up in a contiguous county, and I wrote a lot about Carroll County's three-decade history of Latina/o migration in my 2009 article, Latina/os, Locality and Law in the Rural South. In 2003, MALDEF entered into a settlement with the Rogers, Arkansas Police Department, in neighboring Benton County, to prevent racial profiling. Farmington, New Mexico has a population of just over 45,000, but surrounding San Juan county is technically metropolitan, with a population of just over 130,000. Indian reservations comprise more than 60% of San Juan County's land area, and 36.6% of its populace are Native American. Farmington has been the subject of major civil rights investigations over the course of four decades. Like the relations between blacks and whites in Mississippi, then, both Carroll County, Arkansas and San Juan County, New Mexico have histories of racial and ethnic tensions. I would think the racial/ethnic contexts of these two incidents would make them interesting to a national audience--as would they way they illustrate widely held perceptions of the "best" and "worst" of rural America. The "worst" is that the hate crimes occurred--which confirms the image of rural folks as small-minded and bigoted. The "best"--at least in the Arkansas case--is that a local jury of the defendant's peers convicted the small-minded bigot--and they did so in no time flat. Cross posted to Legal Ruralism and SALTLaw Blog.